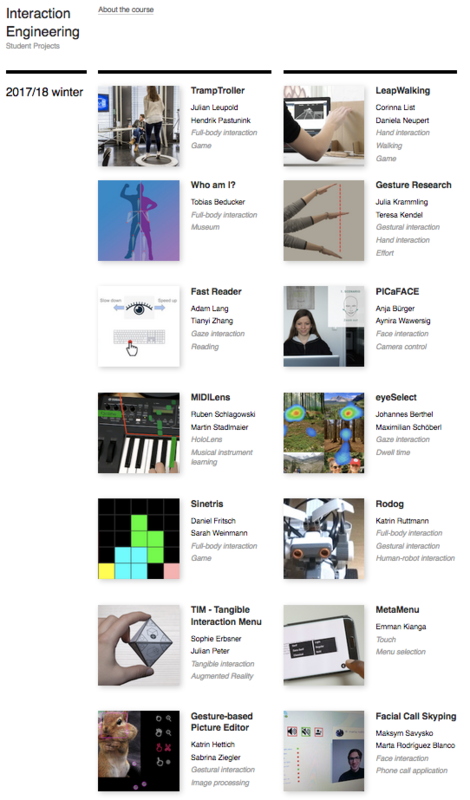 Another round of fascinating interaction engineering projects is completed. In this interdisciplinary course (computer science and design, Bachelor and Master students), we think up potential future human-computer interaction techniques based on current research publications. This year we had 14 completed projects by 27 students. A new record after 12 projects of last year. Projects include interaction by gesture, full body, eye gaze, face, tangible object, Hololens and trampoline! We even had a Lego robot.